My writings revolve around the practice of filmmaking, the life of a traveling nomad, and thoughts on family. By Day Three, I was exhausted and needed to return to reality. Former Flaherty executive director and Museum of Modern Art curator, Sally Berger and her partner offered me a seat back to Brooklyn in their car. In 2010, Sally and I had traveled to Beijing and Nanjing to visit China’s then thriving independent film scene. 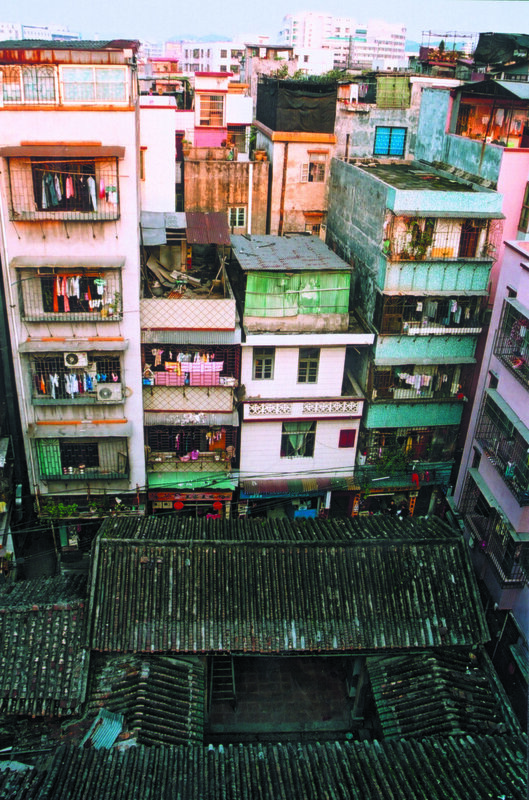 In 2013 at MoMA, Sally Berger curated a groundbreaking 25-year retrospective called “Chinese Realities/Documentary Visions,” co-curated by dGenerate Films programmer Kevin Lee. As I write this in 2018, the film festivals Sally and I attended have been shut down or forced out of the public sphere. Many of China’s best independent documentary makers have left mainland China. We mostly belonged to a group often referred to as ‘ABCs’ — American-born Chinese. Most of our parents arrived following the Immigration and Nationality Act of 1965, which finally laid to dust the racist Chinese Exclusion Act of 1882. My parents’ stories were both unique and indistinguishable from their peers. Their families fled the Communist Revolution, grew up in Taiwan, and were offered scholarships in America. Arriving in America with $10 in their pocket seemed like the story of their generation. Seeing San Yuan Li made me wonder: what was China like for our ‘mirror’ generation — the one whose parents and ancestors had stayed? Grief takes the person you love the most. Then it takes everything else. My sister’s cancer, its multiple recurrences, its relentless treatment - it stole my resilience. I try to explain the experience to others. Imagine the person you love the most dangled over an impossible abyss, in pain. You are made to sit and watch them suffer and keep them company until they fall, not knowing when it might happen. Two years and 8 months. The logistics of caregiving were doable. The psychological cost to witnessing suffering was more than I could bear. 20 on 20: Essays in Celebration of the Finger Lakes Environmental Film Festival. We look to the future by asking 20 former FLEFF guests to ruminate on what new ideas, issues, or subjects were developing, percolating, or unresolved. Do film festivals today inhibit or widen access? How can festivals today increase access for audiences and for storytellers? And how can festivals continue to best serve their local communities and independent filmmakers? A funder told me over dinner, “Funders invest in people, not ideas, so they’re investing in the founders. That can drive social entrepreneurs to adopt a hero complex.” It’s important to look at how power works, who gets to speak, who is represented, and how they’re represented These are the same questions that pushed me into producing and distributing. At the Forum, it became important to ask, who gets invited? Who is allowed to speak? I've stayed in some rough places as a low-budget indie film producer: four weeks in a no-tell motel in rural New York; six weeks sleeping on a thin piece of foam in Beirut. I've slept in vans and on countless couches. But never in a place where I felt I could lose my mind. Theatrical premiere of CIRCUMSTANCE (during a hurricane!) 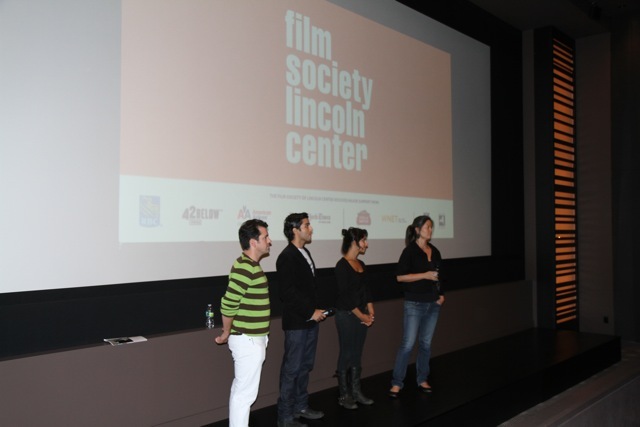 in NYC's Film Society Lincoln Center with (l-r) director of photography Brian Hubbary, actor Keon Mohajeri, actress Nikhol Boosheri, and me. As we anticipate the premiere of Circumstance in New York and LA theaters this weekend, Cinereach asked one of the film’s producers, Karin Chien, to reflect on the struggle behind the now-apparent glory. Faced with a strikingly compelling and important story, but a hard sell from a commercial perspective, the resourceful and committed team behind the film charted a harrowing fundraising course -- from pre-production to the final days before their Sundance premiere. We hope other independent producers will find her experience useful and inspirational. From our perspective, above all else, it is a testament to the dedication and bravery of the independent producers who bring vital stories into being. We’re proud to have had a small part in the Circumstance story, and congratulate the whole team and its supporters, on reaching this exciting milestone at last. [Circumstance] was too provocative and too lesbian for Middle Eastern investors, too non-commercial for film investors… The financing of Circumstance often felt like The Amazing Race— Maryam, Melissa and I in last place, and the production budget in first. We were constantly raising money to catch up to our spend. For the first time, I broke a major producing rule of mine — never go into production without all the money raised — but we knew we had to. With the massive social and political change about to rock the Middle East, this was the time to tell this story. Even two weeks before our Sundance premiere, we were still locking in another equity investor. With writer/director Victoria Mahoney, at Manifest Justice. When you arrive at the place where you are making a hundred decisions a day, and you are responsible for everyone who is giving their time and talents and money to make this thing happen, it can be a frighteningly lonely place to be. You hope that when you arrive, you have a philosophy to ground you. FEMALE DIRECTORS, by Yang Mingming, proudly distributed by dGenerate Films and Icarus Films. Ted Hope: I am dismayed at times how sometimes our local indie scene feels so repetitive and lacking creative ambition. We remake successful formulas, and only rarely break new ground. I know I am guilty of this too. I wonder how we can break out of this cycle, and what are the forces that contribute to this sad phenomenon? It was such pondering that led me to profess on twitter that I wanted to learn more of the global microbudget film scene, to see what others are doing, and what we all could learn from each other. 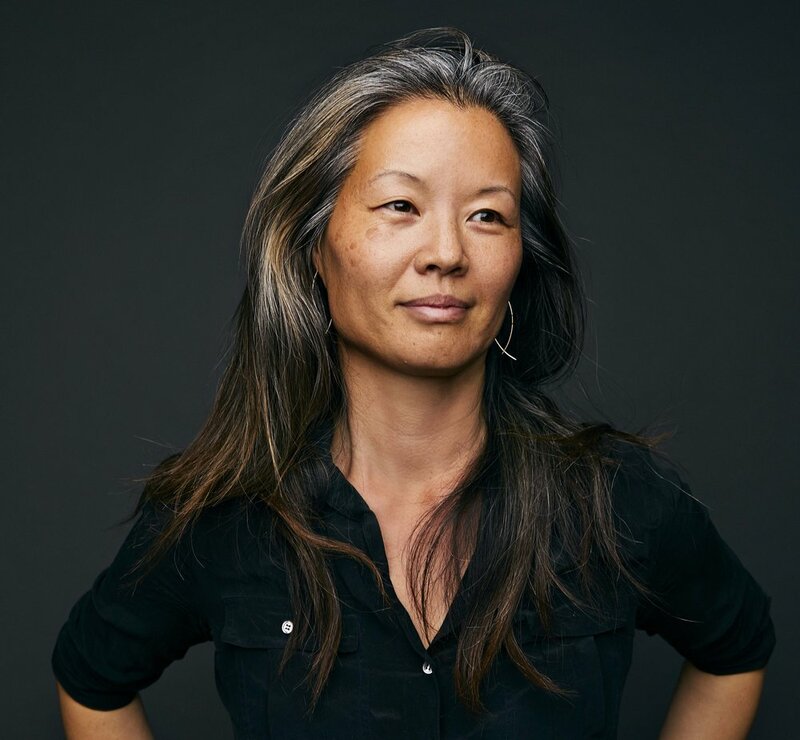 Producer/distributor Karin Chien was among those that reached out to me, to share her knowledge and experience — and it does start to show us a real alternative. Moderating a panel on audience and Asian American stories at C3 hosted by Visual Communications. As an Asian-American producer, I’ve had a front-row seat to this seismic shift hitting our industry. In the late ’90s, there were three Asian-American indie features made a year. Now there are 20 to 30, nearly all of which do not get distribution. Some celebrate this as progress, yet the real story has been happening elsewhere, on YouTube, where the top stars and highest earners are, incredibly, Asian-American. Conferring with our production manager Abla Khoury on Day 21 of the CIRCUMSTANCE shoot in Beirut, Lebanon. Recently, a film I produced with Melissa Lee and Maryam Keshavarz, Circumstance, was submitted for the Producer’s Guild of America’s awards consideration. Circumstance is a hard film to categorize: It’s a story of teenage love and personal freedom set in Iran, filmed in Beirut, edited in Chile, finished in France, and financed primarily by US sources. And the film is in Farsi. We knew we were a long shot to be nominated, but we were still excited by the prospect. Producing is often thankless and invisible work, and awards that solely recognize a producer’s contribution are few and far between.